Buy from Books 'N' More and get a discount! 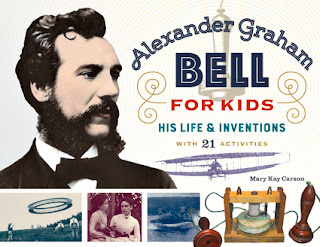 I'm proud to announce the release of my newest book, Alexander Graham Bell for Kids: His Life and Inventions with 21 Activities. invented an improved phonograph that Thomas Edison had to buy the patent for in order to build a usable product. worked with early airplane inventors Glenn Curtiss and Samuel Langley and competed with the Wright Brothers. attempted to save President Garfield from his fatal gunshot wound with a bullet-finding invention similar to a metal detector. was a pioneering speech teacher to the deaf and a life-long friend and mentor of Helen Keller. emigrated from Scotland with his parents after both his brothers died from tuberculosis. Bell invented and experimented his entire life. A favorite Bell quote is: "The inventor is a man who looks around upon the world and is not contented with things as they are. He wants to improve whatever he sees, he wants to benefit the world." 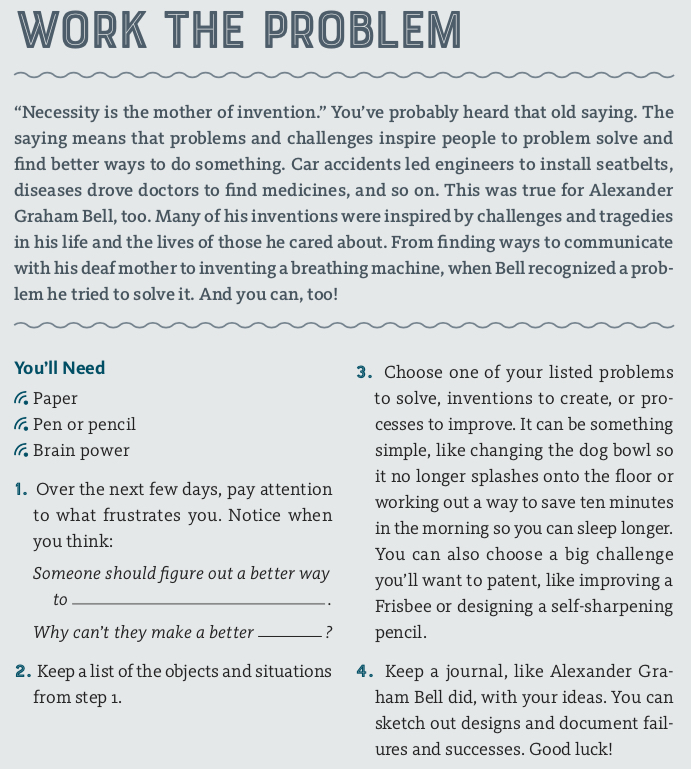 You and your students can put their own problem solving skills to work. Everyone craves improvement and likes getting problems solved. We all seek better ways of doing things and love new gadgets! What would you invent? Congratulations on the new book. 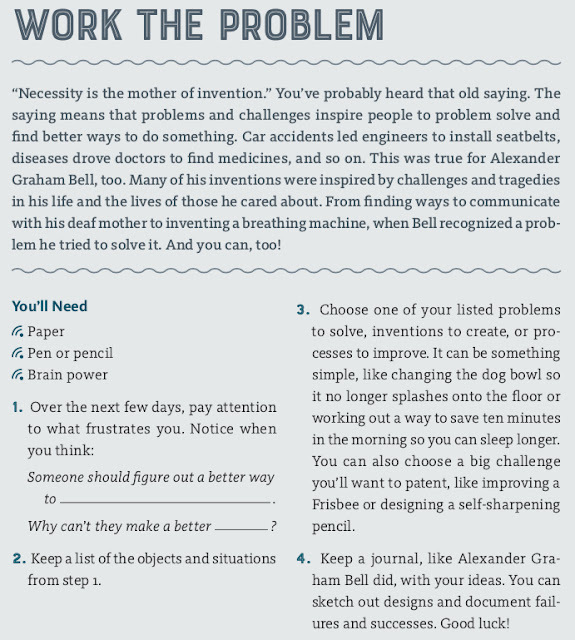 Alexander Graham Bell was certainly a great thinker!